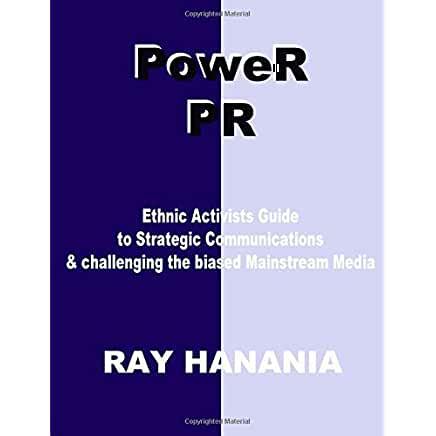 The new book for Arab Americans by political writer and Arab American activist Ray Hanania. Watch for the information on this page soon. Yalla! Fight Back is a guide to help Arab Americans fight back against the racism and bigotry and exclusion that we face in this country. Yalla! Fight Back live radio WNZK AM 690 every 2nd Friday and online, and podcast. You can read my columns online at TheDailyHookah.com and at the Arab News newspaper and online at the ArabNews.com. Let’s start with President Trump … do you think Trump is the problem? Your mistaken. We are the problem. Trump recognized Jerusalem as Israel’s capital and what did we do? 1 – Don’t focus on the Consequences of problems alone. Address and correct the problem itself. 7 – Emotion and anger is not a strategy. Use effective strategic communications to make a difference. THIS POST HAS BEEN READ 1683 TIMES SO FAR. THANK YOU!